Interviewing candidates for an open role is no easy task. Rejecting a candidate that you have interviewed is even more challenging and something most employers dread. Sending a post-interview rejection email is necessary, but have you ever had a candidate respond wanting feedback from their interview? This can be a tricky situation and some employers are left unsure of how to respond next. When giving interview feedback, not only do you risk upsetting the candidate but you can put your company at a legal risk as well. There are ways to give feedback and keep your reputation without hurting feelings or putting your company at any risk. Just because the candidate was not right for a certain position does not mean they won’t be right for another position elsewhere. Starting off with the positive attributes from the interview will ease the candidates mind when you move on to more constructive and helpful criticisms. Even though they were rejected for the position, being positive boosts the candidate experience with your company. Barbie® was integral to my childhood playtime, creating my own imaginary world, picturing myself as a veterinarian, or even a rock star someday. After all, Barbie said I could be anything! 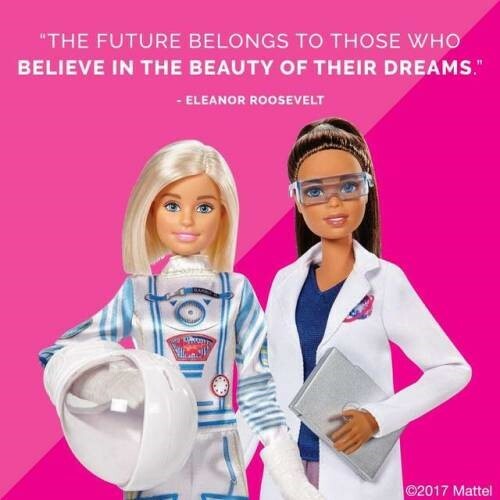 I didn’t foresee my adult work life actually intersecting with one of America’s most iconic toys, especially during an out-of-the-blue conversation with my 8-year-old child about job hopping. That’s some deep thinking by a child that already recognizes the concept of a career change in elementary school! The stats might be even higher, as the official Barbie media website indicates she’s had more than 150 careers on her resume. Born in 1959, that’s more than two new careers per year. Plus, Barbie wasn’t just changing jobs, she was going from an equestrian to an executive, a beekeeper to a bakery chef!